The JL Audio name means high-quality sound, and the JL Audio 12W0V3-4 12″ Subwoofer doesn’t come up short when delivering trademark JL performance. You’ll find patented technologies like an optimized motor system that promotes precise, linear cone movement, plus advanced cooling systems throughout the frame for rapid heat dissipation. This JL Audio 12W0V3-4 sub features a tough polypropylene cone that resists flexing, and a durable foam surround that’ll stand up to hard use. 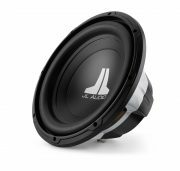 The cone’s extra-long excursion capability lets it hit truly deep notes without distorting, while the hefty 2-inch voice coil drives the woofer accurately for top-notch performance under extreme conditions. 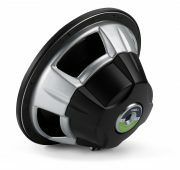 The patented elevated frame design delivers air flow directly to the voice coil, cooling it for better power handling. 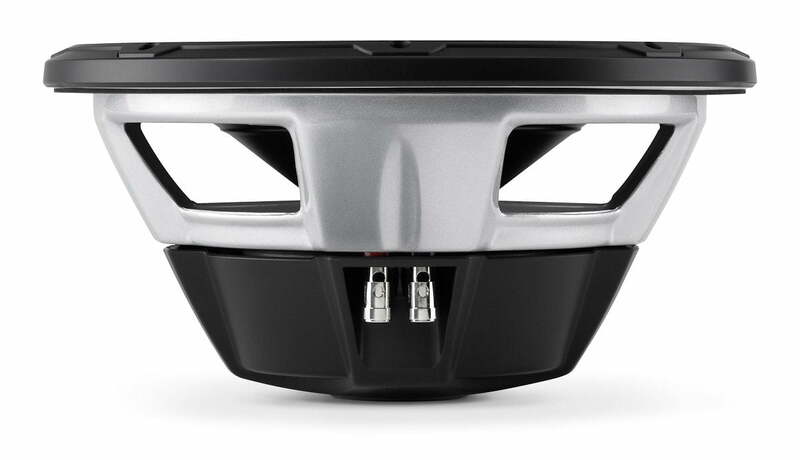 JL Audio designed this sub to work in compact sealed or medium-sized ported enclosures, and they offer an optional grille that’ll protect your JL Audio sub in its box. Dynamic Motor Analysis (DMA): DMA is JL Audio’s proprietary method aimed at improving dynamic motor behavior. As a result of DMA optimization, 12W0v3-4 motors display linear force over a long excursion range, and also maintain a stable fixed magnetic field in the gap over a wide power range. The result is reduced distortion, faithfully reproduced transients, and tight, clean, articulate bass. Elevated Frame Cooling: The elevated frame design of the 12W0v3-4 delivers cool air through slots directly above the top plate to the voice coil. This not only enhances power handling, but also sound quality by minimizing dynamic parametre shifts and power compression. The woofer has a rear gasket to provide an optimal seal when installing into the enclosure. Long Excursion: The 12W0v3-4 subwoofer has 11.4mm of linear excursion, giving you louder bass with less distortion. 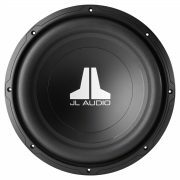 Recommended Ported Box Volume: JL Audio recommends a 1.75 ft³ ported box. A diagram is provided in the owner’s manual for a sealed box with external dimensions of 17.5″ W x 14.75″ H x 16.25″ D, assuming 3/4″ thick material. (If you are using 5/8″ thick materials, you should subtract 1/4″ from each dimension.) A round port with a diameter of 3″ and a length of 14″ is recommended, resulting in a tuning frequency of 26 Hz and a -3 dB point of 30.8 Hz.